Today we are going to learn How to make Mochi ice cream!! Mochi is a Japanese rice cake made using a sweet rice flour (mochiko) and water. You commonly see mochi wrapped around ice cream or sweetened red bean paste. In this diy mochi recipe I am going to make the mochi in the microwave and use the mochi to wrap around a sweetened red bean paste. 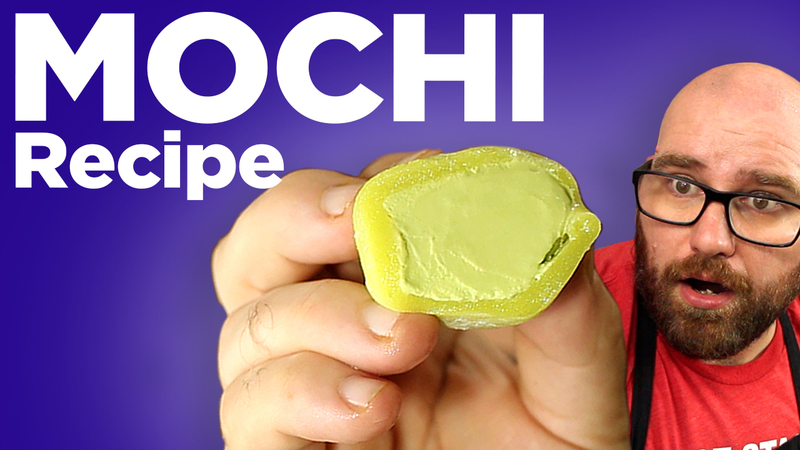 I hope you enjoy my easy how to make mochi recipe! This is that perfect Ice Cream Mochi everyone loves! Turn out Mochi dough onto work surface and flatten until desired thickness. Should be about 1/4" or slightly more thick. Cut into 8 even squares and allow to cool.